All U.S. employers must complete and retain a Form I-9 for each individual they hire for employment in the United States. This includes citizens and noncitizens. 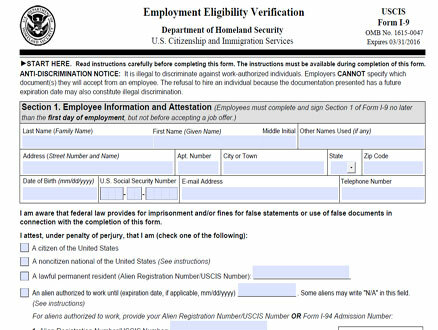 On the form, the employer must examine the employment eligibility and identity document(s) an employee presents to determine whether the document(s) reasonably appear to be genuine and relate to the individual and record the document information on the Form I-9. Often, and for a variety of reasons especially those of distance in this era of widespread telecommuting, the employer and employee are not able to meet in-person for execution of the I-9. 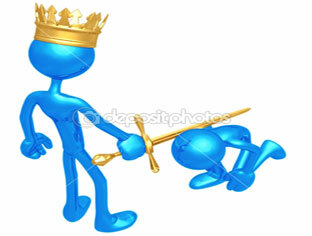 When necessary, an employer may authorize a third party to act as its Authorized Representative. This third party must perform all actions required of the employer in the Form I-9 process, and complete Section 2 of the form—the Employer’s Review and Verification, and Certification statement. An employer may designate anyone it chooses to be an Authorized Representative for execution of a Form I-9. Given their broad availability and experience in satisfactorily identifying their clients, notaries are among those seen as a logical choice to serve in this capacity. Many employers ask notaries serving as their Authorized Representative to affix their notarial seal to the certification section of the Form I-9 even though the Form I-9 does not require an authorized notarial act of any kind, for either the employee’s execution of the document or the Authorized Representative’s. If we agree to serve as an employer’s Authorized Representative, our company is NOT serving as a notary in any capacity. The Form I-9 does NOT require a notarial act, therefore we CANNOT affix a notarial seal impression on it. Since Authorized Representatives are designated by the verifying employer, we will require that the designation should come to us straight from the employer in written format. 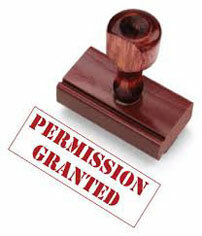 Please click here to download a copy of the authorization letter to be completed by the employer. After execution please return it via fax or email for our records before we complete the I-9 on their behalf.